Above are photos of my new "modified" salon table. 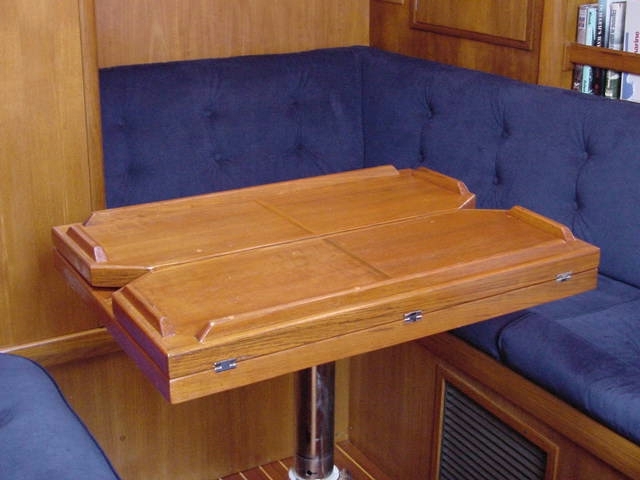 I bought the table hinges from Erik at Jeanneau America and cut the factory table to this configuration. 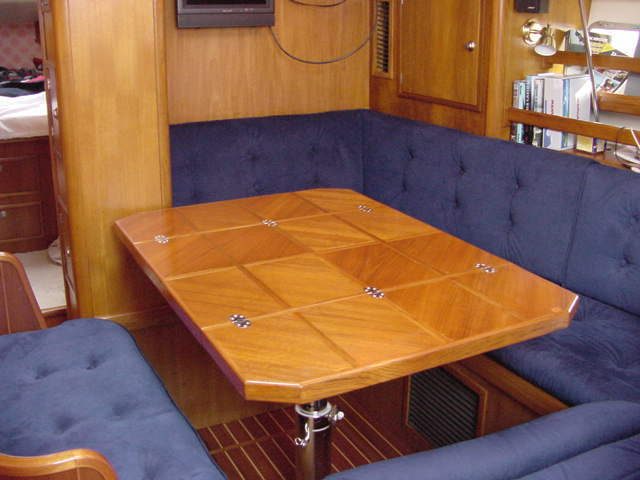 Here are a few photos of the cockpit table I designed and built for my SO 42.1. 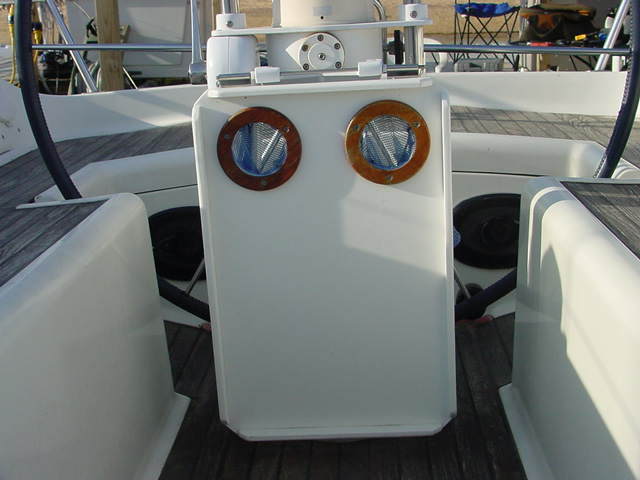 It is made of "King Starboard" material and will hold two bottles of wine securely. 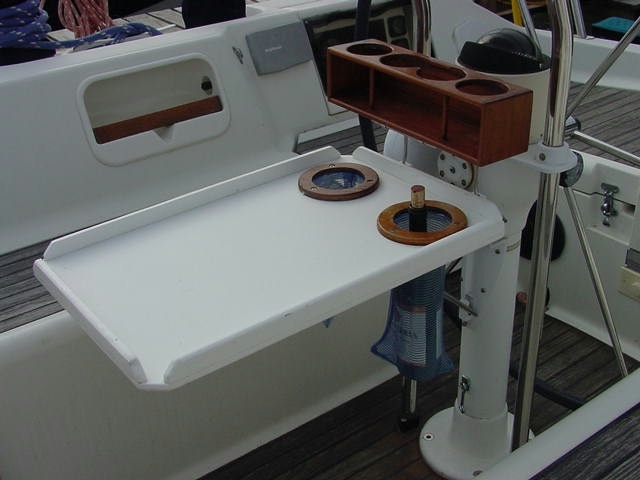 The mount is a Whitlock table mount that required very minor modifications. 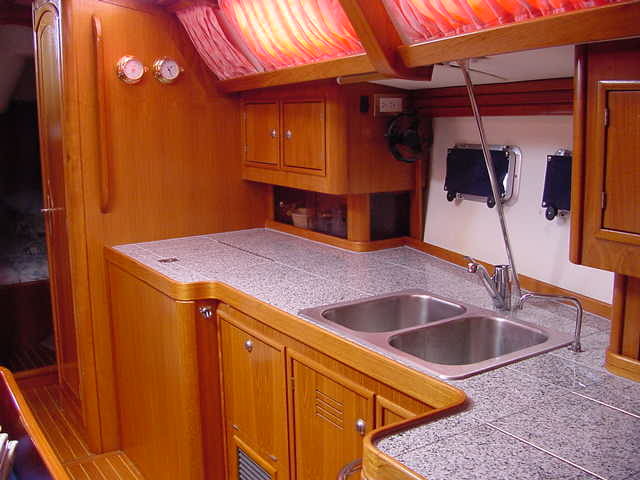 The formica counter tops in the galley was showing it's age. I have been very impressed with the granite I had installed in the kitchen in my home so I decided to install granite 12"x12" tiles over the formica. 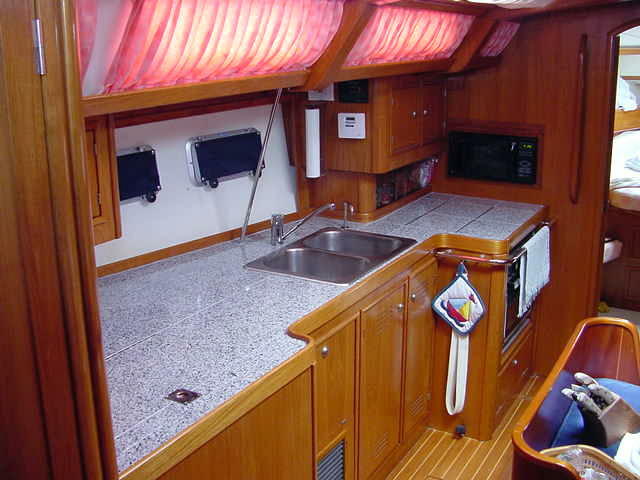 I also replace the two round galley sinks with one stainless double sink. 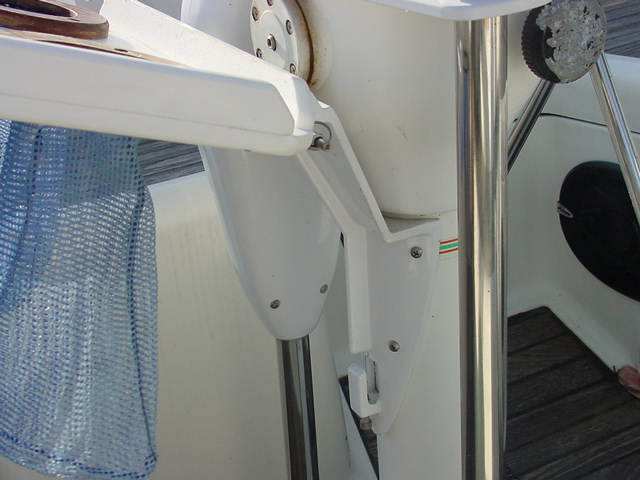 I have never been a fan of the lift out companion way doors that were on the boat. 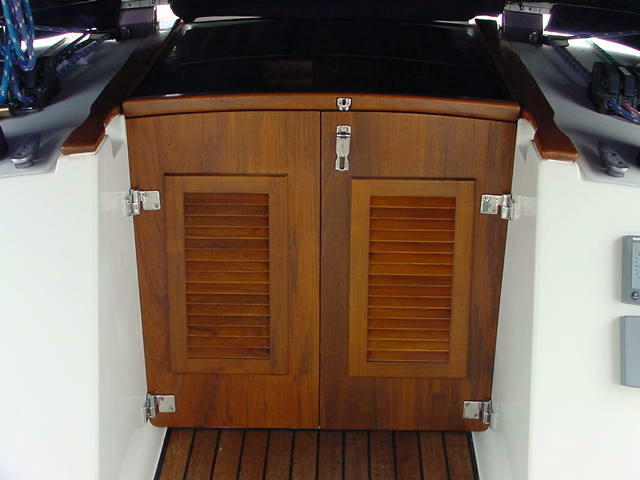 Hence I built a pair of conventional type teak doors. I love them!